Pennsylvania Gov. Tom Wolf meets with officials after he is sworn in for his second term, Tuesday, Jan. 15, 2019, at the state Capitol in Harrisburg, Pa.
A look at some of the week’s top stories. 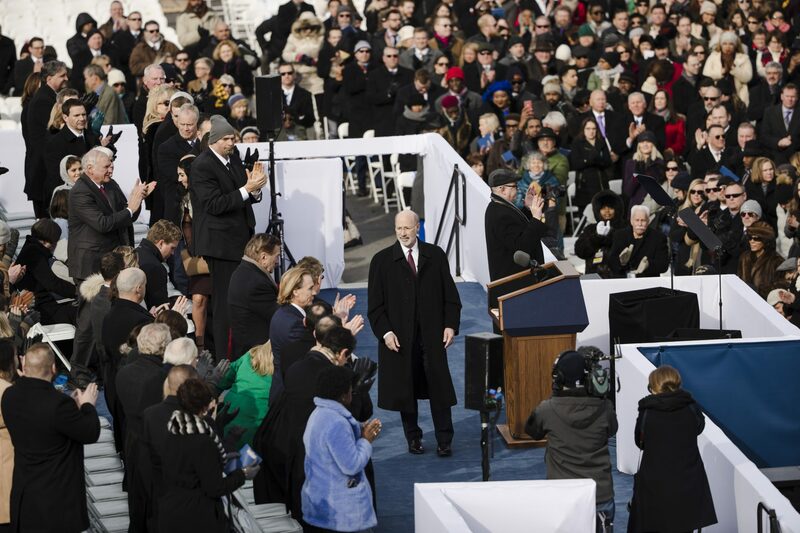 Tom Wolf has been sworn in for his second—and final—term as Pennsylvania’s governor. Wolf gave a low-key inaugural address, touting the bipartisan successes of his first four years in office and urging his fellow lawmakers to find common ground despite their often-intractable differences. There weren’t a lot of policy specifics—Wolf seems to be saving those for his budget address February 5th. 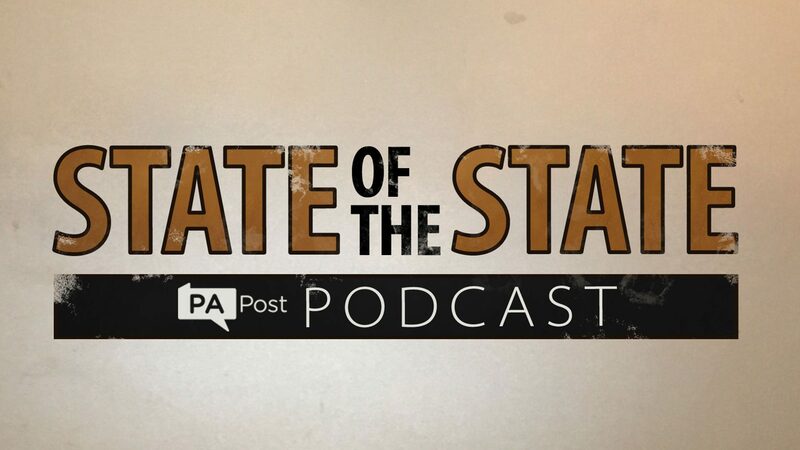 But the governor did allude to some of Pennsylvania’s most deep-rooted issues, like its inexorably aging population and the fact that it habitually loses more educated young people than it attracts. The week also saw growing alarm over the lengthening federal government shutdown. More than 12,000 people around the commonwealth are furloughed or working without pay, and the state is starting to see an impact. We’ll hear from the Department of Labor and Industry, which is seeing an upswing in people filing for unemployment, from the Central Pennsylvania Food Bank, which is upping services for federal workers, and from Senate Democrats, who are trying to help SNAP recipients prepare for shutdown-related changes to the program. And finally, we’ll get an update from the small town of Tamaqua, about an hour to the northwest of Allentown, where residents are embroiled in a debate—and legal proceedings—over how to keep kids safe at school.